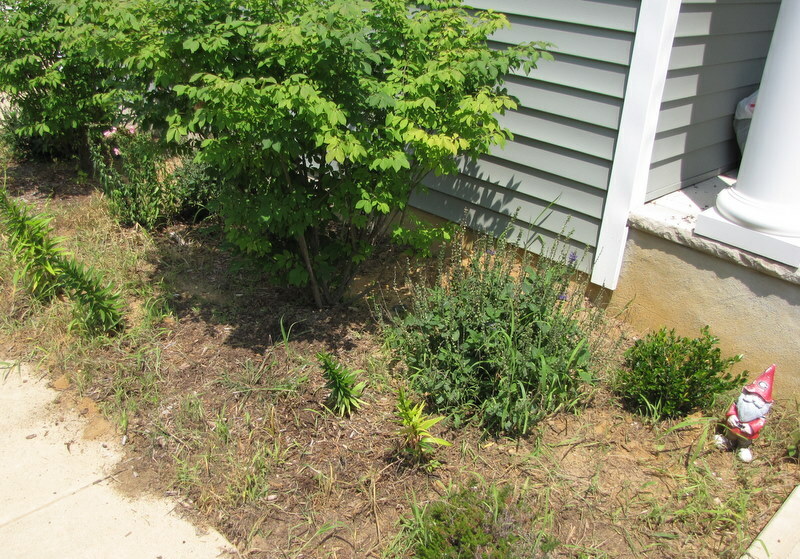 It’s time again for me to launch my annual full-scale assault on the grass that grows in the front flowerbed. I have no idea how and why this grass grows so persistently, especially since I’ve hardly watered that bed at all this summer (even through the drought). We’ve been so busy keeping the patio alive, so many of those plants are struggling after the drought we had here in NJ at the beginning of July. 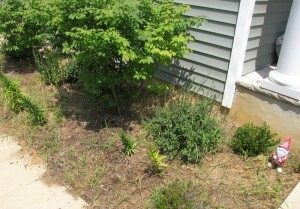 But the flowers and bushes are doing fine, so I’m working on killing the grass and weeds so that I can then mulch the dickens out of it. 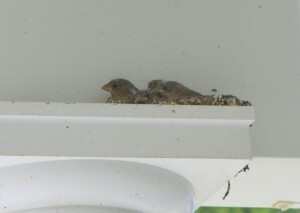 Anyway, a couple of weeks ago we found a bird’s nest at the top of one of our porch columns. We’ve seen the 2 birds in it. 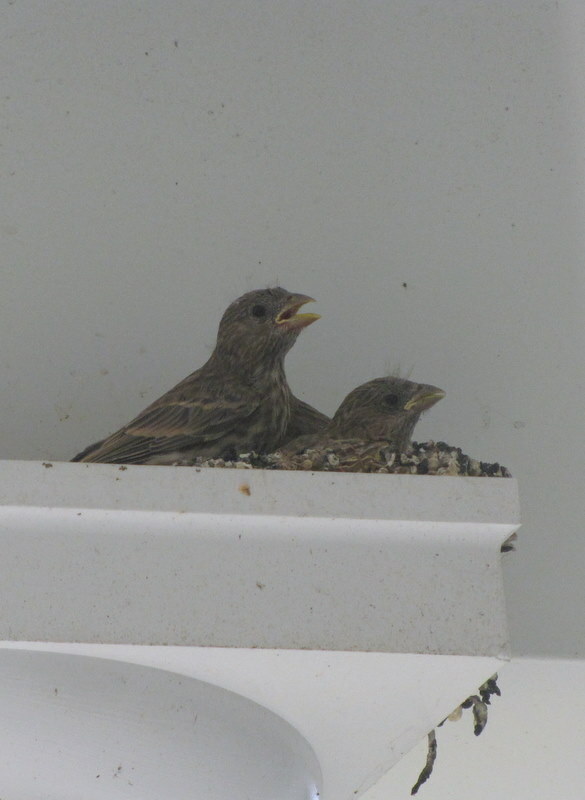 While I was out this afternoon working on the flowerbed, I saw the babies! We’re going to need a pressure washer to clean up all the droppings around that column, but it’s the miracle of life and all that.